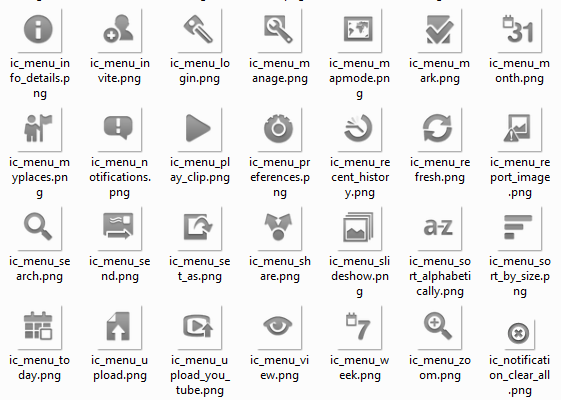 Sometimes when working with drawables, for example when designing some options menu or a tab widget, you may need to see all the available icons and choose the most appropriate one. I have seen people searching for source code which will list all available drawables to achieve this. However, there’s an easy way to find them all on your computer without writing any code. All the drawables are stored on you PC in the Android SDK. The path to drawables is android-sdk\platforms\android-8\data\res\drawable-mdpi. This path will lead to all drawables that are part of Android SDK API Level 8. To see drawables that are part of other packages, just choose the corresponding folder, in the platforms folder. Thanks. I was thinking to write program to get these images. Your post saved lot of my time.